Think you don’t use negotiation most every day of your life? From the time we learn to manipulate our parents from the crib to today, we learn to negotiate to obtain our wants and needs. As we grow, we negotiate constantly with our parents, then with our peers. As we enter the business world, we negotiate with our bosses and our subordinates. We negotiate with our suppliers, customers, investors, and even our auditors. At home, we certainly negotiate with our spouses or significant others. Because I believe that negotiation is so important to our success in the business and in the social world, I re-read my favorite book on the subject again every couple of years, just to keep myself aware and sharp using the tools and techniques so important to a successful negotiation. The book, You Can Negotiate Anything, by Herb Cohn was first published in 1980 and is available today as the best and easiest to read of all the books on the subject. I implore you to read this book and internalize the three crucial variables, the many styles of negotiation, and the fourteen powers you can call upon or recognize when used by others in a negotiation. [Email readers, continue here…] Over the years, I have been delegated by more than several entrepreneurs and boards to negotiate critical agreements, sometimes to sell the company or merge it with another. I was selected because I did not have an emotional stake in the outcome as did the entrepreneur, or the continuing relationship with a buyer as would others in management who might remain after the sale. With that freedom, I was able to use the tools of negotiation to achieve a result better than if I worried each moment about disrupting the deal when making each move and countermove. There is a lesson there, one the same Herb Cohn quoted in a later book, in which he entreated his readers to negotiate with care, but “not that much care” as to lose perspective. I recall one such instance, when delegated to be the lead in negotiating a sale of a company on whose board I sat, I asked the entrepreneur to name his expected price in an ideal sale, which he did immediately as if he’d been thinking of this for some time. Surprising him and the rest of the board, I asked him to go home and not to attend the negotiation session set for that evening at a local hotel, promising to call him immediately with the outcome. I am sure he worried over losing control of his most important business negotiation ever, but he did cede the task to me (and another board member). Doing my homework ahead of time, using one of Herb Cohn’s principles (please read the book), at the start of the negotiation I placed a paper in front of the negotiator representing the intended buyer, showing how our company would be accretive to their public company valuation, properly valuing our purchase at three times the ideal amount as stated by our entrepreneur-CEO. The buyer looked over the numbers for a few minutes, recognizing the accuracy of my statement from his due diligence and knowledge of his own financials. In a sincere response so transparent as to be an obvious truth, he stated, “Oh, but I only have authority from the Board to offer two-thirds of that” which of course was twice our entrepreneur’s the asking price. After forty-five minutes of further negotiation, we walked from the room with an agreement to sell the company for cash at twice the asking price. And as the entrepreneur still tells the story, we two board members walk on water for having delivered such great results. In fact, we had done our homework, presented a logical case, and created a win-win by leaving enough value for the buyer to add to its market capitalization as well as doubling our sales price. Since we negotiate daily for things large and small, wouldn’t it be high on your list to learn to use the tools and be aware of the elements of a great negotiation? This entry was posted in Growth!, Positioning. Bookmark the permalink. 7 Responses to Can you become a master negotiator? 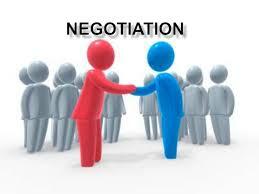 Successful negotiation is an exercise in understanding and using the fear and greed motivators of the opponent. What do they fear the most and what do they want the most are the factors. Are they afraid that if they pass on an opportunity which becomes successful they will be criticized? Are they afraid of losing money more than missing a profit? Do they have a greater fear of the loss of profit than the loss of money? The successful negotiator will enter the process believing they are the more powerful in addressing the fear and greed motivations of the counter-party and that it is in the opponent’s best interest to accept the proposals of the negotiator. Good insights on the importance and techniques of successful negotiations. Over the years, having noticed many people are self serving, don’t know what they don’t know, ego, different agendas / objectives, etc. 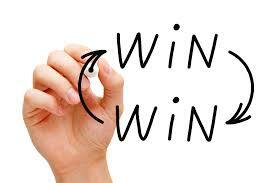 – negotiating a win / win is much tougher than it needs to be. Because of this, any insight on avoiding or getting past a lowest common denominator scenario ? Combine that with a realistic assessment of the “best alternative to a negotiated outcome”, have a real deadline (hopefully not your own), and empower a negotiator who cares – but not too much – and you’ll have the best possible negotiation. You bring up the ethical question of whether a good negotiator should take advantage of “one of the opposite type” and whether the negotiation should leave something on the table. You may have been on the side of the good negotiator in such a situation; I have. My advice is to live with your conscience. A victim of a bad negotiation will discover the loss sometime and be bitter. Not a win-win. I believe the author you reference is Herb Cohen, not Cohn. Lots of good points here, but more important than any individual negotiation is creating competitive tension. If you are a buyer, you want to have a few good alternatives you can play off against each other. If you are the seller, you want to have a few interested buyers. This is particularly true in situations where there is not repeat play, but even with long term suppliers it makes sense to have more than one source. David — Thanks for a great reminder. I read Herb Cohen’s book years ago. It was a loaner as I don’t even have it in my library. I just ordered and downloaded it on Amazon Kindle so I can read it on my iPad. It is a gem!